In commemoration of the Stonewall Riots in 1969, June is officially LGBT Pride Month in the United States, and it's the month during which more Gay Pride celebrations take place than any other, including festivals and marches in some major LGBT destinations, including New York City, Los Angeles, San Francisco, Minneapolis-St. Paul, Houston, Denver, and Chicago. PrideFest in New York City is marking its 25th anniversary in 2018, and its street fair exhibitors and vendors go all out to celebrate equality. But Boston has NYC beat in this department: 2018 marks its 48th year for a Pride festival. Not to be outdone, Washington hosts one of the biggest PrideFests in the country. Providence Gay Pride/Rhode Island PrideFest. New Orleans literally prides itself on its tolerant and diverse reputation, and that's front and center for its annual Pride Festival. Key West's Pride has a similar vibe but in a tropical atmosphere. In Houston, it's a huge deal, with 700,000 people showing up to honor equality at its annual Pride Festival. In St. Louis, PrideFest has been going strong since 1980, and it's a big draw, with average attendance hovering around 300,000. As befitting its position is the biggest city in the Midwest, the Chicago Pride includes a parade and a festival, and this big deal is marking its 49th year in 2018. The Twin Cities of Minneapolis-St. Paul take Pride seriously, with more than a full week of events each June. Santa Fe is putting on a Closetball and having a pool party in addition to regular Pride Festival events in 2018, while Denver is all about great musical performances and a 5K run. In Montana, the Pride Festival rotates among cities, and in 2018 Helena gets the nod. Los Angeles had its first Gay Pride festival the year after the Stonewall Riots, in 1970, and it takes place in LA's most gay-identified area, West Hollywood. Seattle puts on a big parade, and 2018 marks its 44th one. 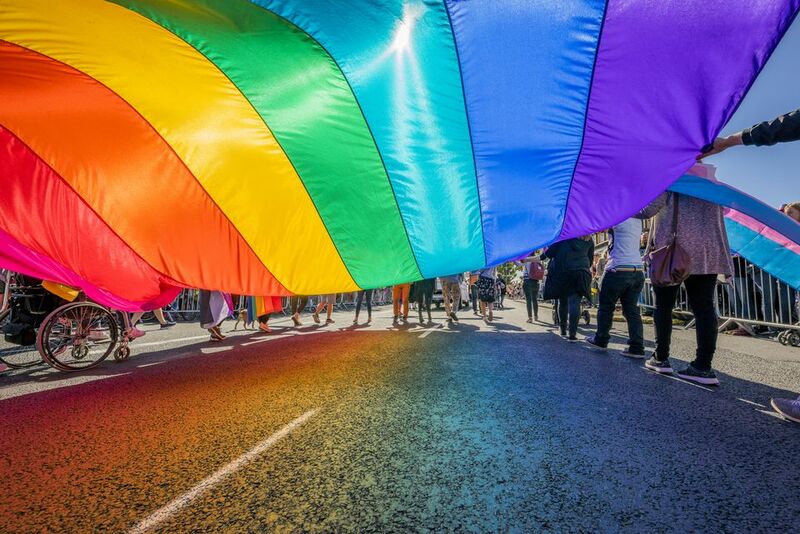 San Francisco's gay community, with a motto of "generations of strength," has a parade and celebration that befits its position on the national gay scene.